As usual i keep going MIA for a while..I've been meaning to post this review since a long time. 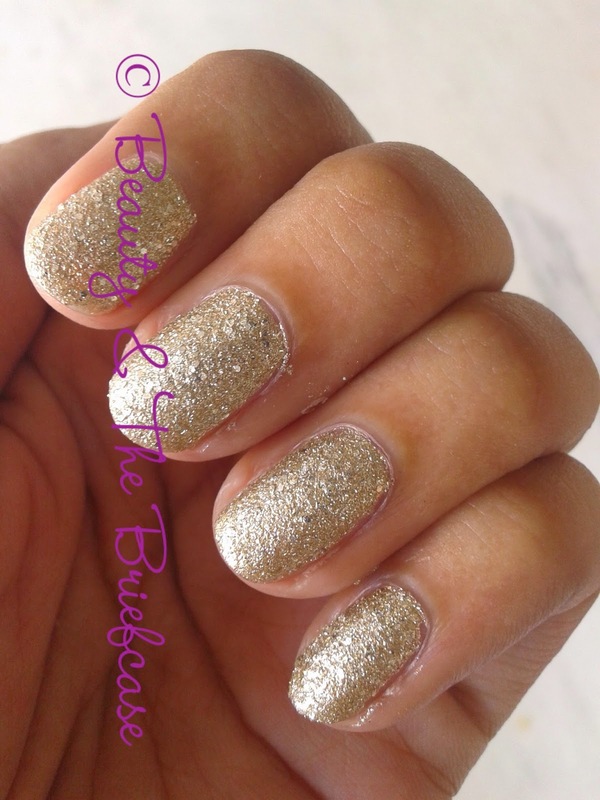 A couple of months back Maybelline launched the Glitter Mania nail paints in India. I resisted picking them up for quite some time... The moment i tried these nail paints i was smitten by this range. Today i am going to review that shade All That Glitters. 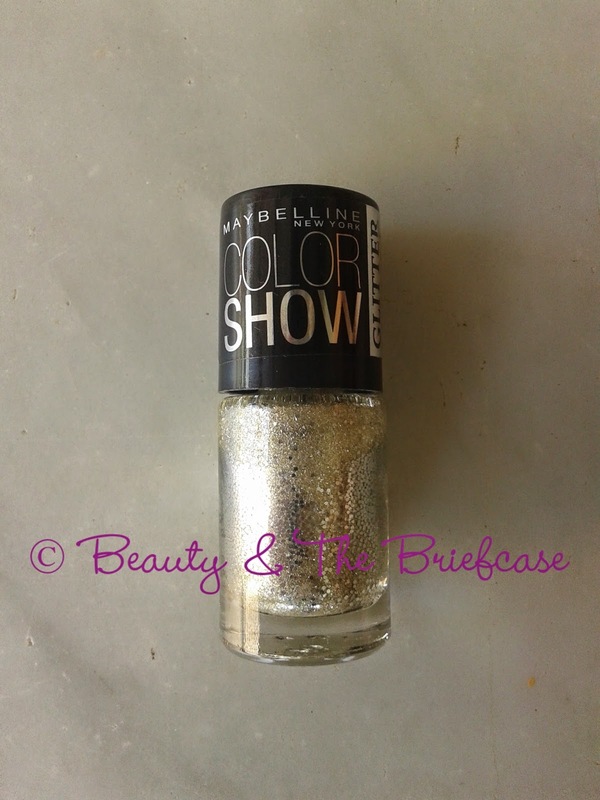 Maybelline Color Show Glitter polishes comes in a sleek cylindrical clear bottle with a black screw on cap. The shade name is mentioned on the cap. It comes with a very good quality brush. I'm loving the look of the Glitter Mania Nail Paints. The texture of the nail color is neither runny nor too thick. It applies very evenly and smoothly onto the nails. 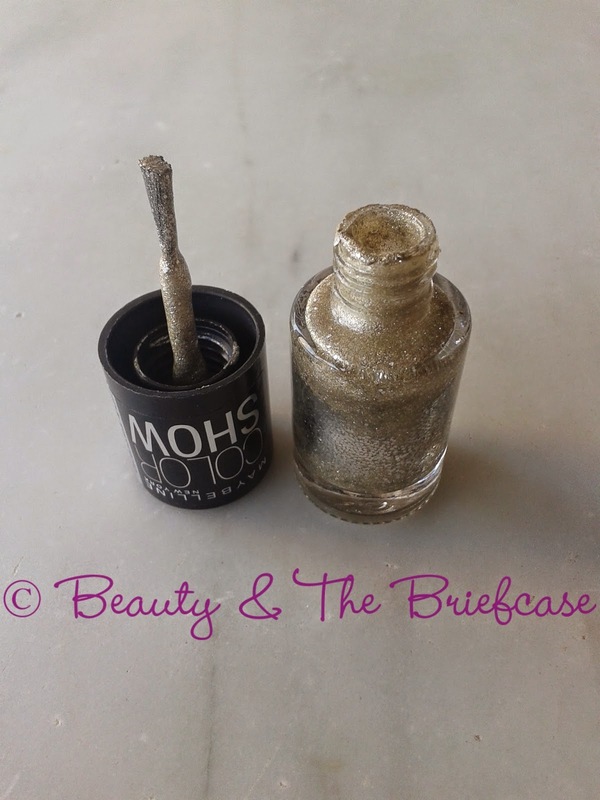 It dries pretty fast and You need just two coats to get an opaque finish. 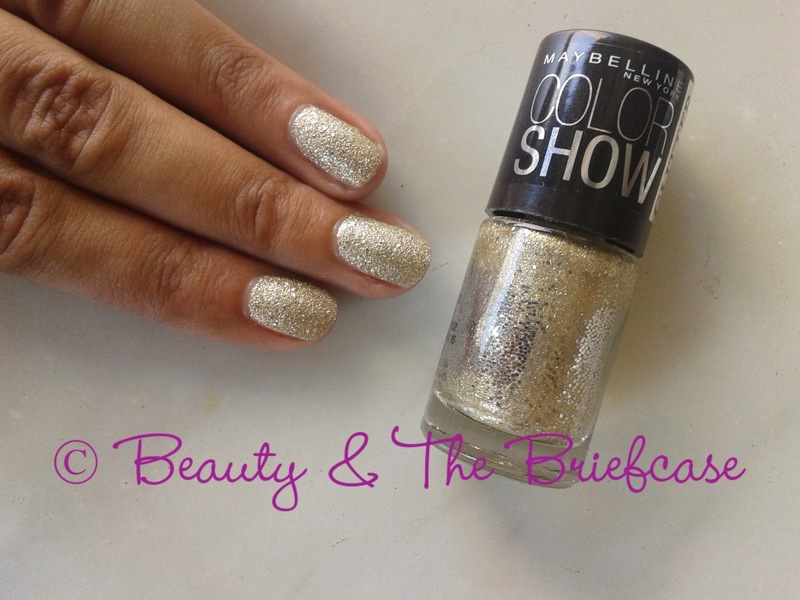 The shade All That Glitters is a lovely yellow gold shade with silver hexes and micro shimmer. These nail polishes give a slightly sand like texture to the nails. It's a beautiful shade and will never look OTT. It adds a glamour quotient to your look. A must have shade from this range. This is perfect for the upcoming Shaadi Season. I can definitely see myself using this shade a lot in the upcoming months. Maybelline is one of my favourite brands and I'm highly impressed by this range as well... If you haven't tried these out as yet please go and buy one shade... its impossible to get textured/ glitter nail polishes at this price. 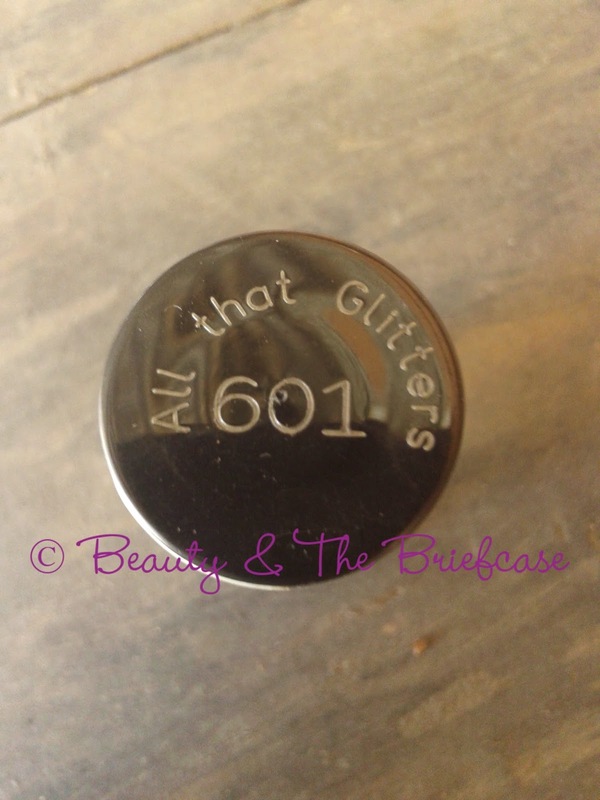 Plus, All That Glitters is such a pretty shade.... Perfect for the wedding season! Hope you liked this review. If you want to review any specific glitter mania shade first,do let me know in the comments below! I love reading and replying to all your comments. Don't forget to participate in the ongoing giveaway HERE. I agree Karishma, all glitter mania shades are very pretty. Not much a nail paint person but Love your notd.